and I still have one complaint - the lighting. the Pendant Lighting at CSN Stores. 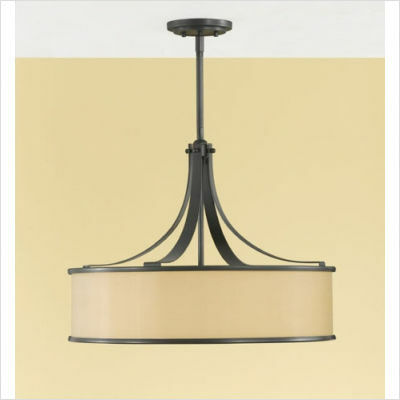 for the lighting issues in my dining and living room. It would add light and a little style to the area. a $50 credit to one lucky reader to use at any CSN store! Well, you can WIN IT! then here is what you need to do! Follow Funky PolkaDot Giraffe and through Google Friends Connect and leave a comment telling me you're a follower and tell me which pendant lighting piece you think I should choose. 1 Extra Entry: Visit CSN Stores and tell me what you'd get if you win! 1 Extra Entry: Add my button to the HOMEPAGE of your blog. 1 Extra Entry: Invite THREE people about TOO Cute Tuesday and tell me which THREE people you invited to join us! This GIVEAWAY will end on Monday, March 21st at midnight PST. The winner's name will be posted in a blog post and at the top of the blog. ETA: If you'd like a chance to also win a $30 GC to CSN stores, head over to Awesome Family Fun and enter! I like the uttermost 21839 alita mini pendant in champagne satin. I'd use it toward a red LeCreuset dutch oven. I would get the first pendant light you posted, my living room could use a new light too! Im a follower and i like the top picture the best! I'm a gfc follower and I think you should get the Minka Lavery Spazio pendant. I would get a fondue set if I won. 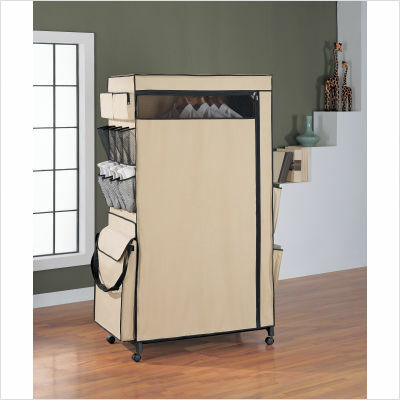 I'd get one of their entry way storage benches for our new house, if I win. I follow on GFC & I think you should pick the Minka Lavery Spazio Pendant. I follow CSN Stores on Twitter. I follow on twitter & tweeted about the giveaway. I really like the first one-- elegant, classy, simple. Perfect for a dining room, IMO. I like the first one pictured! love the pink and brown mod dots kids bedding! I am a new follower of Funky PolkaDot Giraffe. I like the top light the best. Gorgeous. I'm pretty sure I'd buy a rug for my girls' playroom with the certificate. There's a pretty snazzy fishbowl one I've got my eye on! I am a follower and I think you should get the third one. Most definitely my favorite. I would get duck boots. I have wanted some forever - just have never gotten any. I am a follower and if I were to choose between the three you chose, #1 would be my choice. If I won I would apply the giftcard towards a new dutch oven. I haven't decided yet which one . . . but definitely a dutch oven! I just bought some awesome food storage containers from csn and would love to pick up some more! I like the Sonneman - Puri Pendant, a very clean and elegant design. if i won i'd pick up a john boos maple cutting board. thank you so much for the chance! I follow Funky PolkaDot Giraffe and through Google Friends Connect. I like the Quoizel - KD2824MM - Kendra Pendant with Four Uplight in Mottled Silver (although it's a bit pricy!). I follow CSN Stores on Twitter (@shala_darkstone). If I won I'd love to put the gift certificate toward the Aerosoles - THUMB PRI-002 - Thumb Printz Sport Shoes in Black Leather. 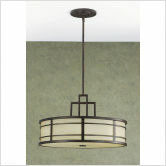 I would choose the Echelon Convertible Pendant in Chrome....there are so many to choose from. I am a follower and I would get some stoneware. I like this Murray Feiss - P1081ORB - Pub Mini Pendant. I'd get a Cuisinart fondue pot!